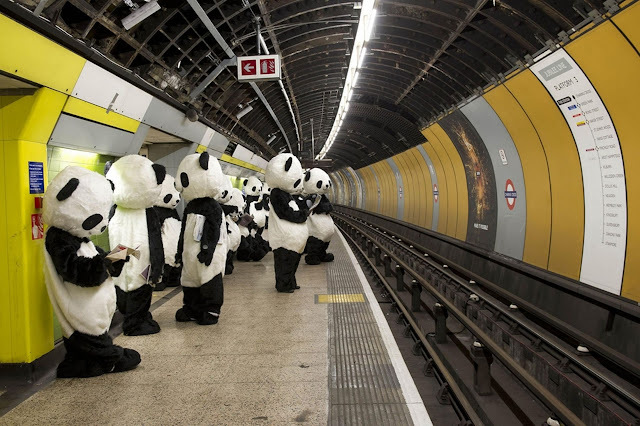 Panda-costumed activists were running riot in London, as part of Panda Awareness Week (which is this week). There are only 1,600 pandas left in the wild, and they are an endangered species at risk from the destruction of their natural habitats, despite being one of the most loved animals worldwide. 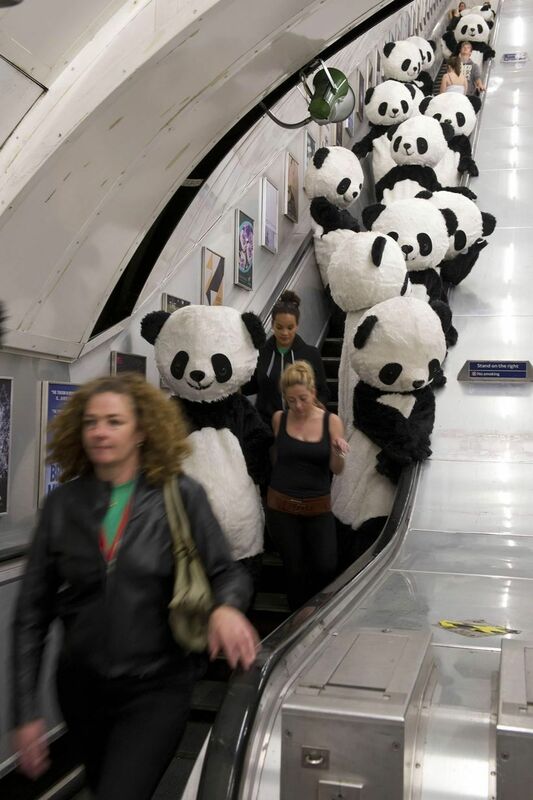 Panda Awareness Week aims to raise awareness and widen the support for panda-based conservation worldwide. 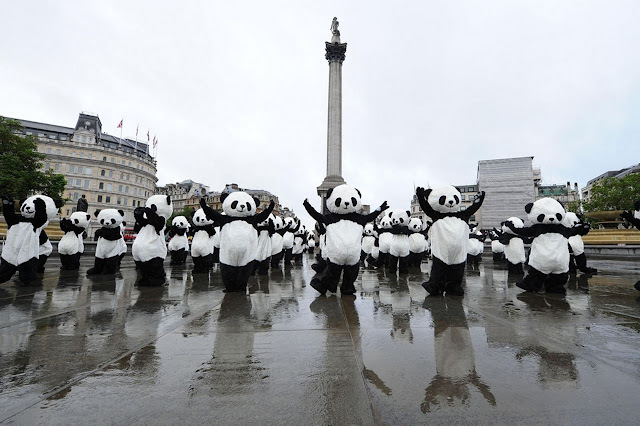 The campaign in the UK is spearheaded by conservationist Nigel Marvin and seeks to raise the profile of conservation centres such as the Chengdu Panda Base in China. Over a hundred of these furry guys descended onto London public transport and landmarks, this time last year, and performed a Tai Chi routine in Leicester Square. Did you see them? Let us know in the comments.